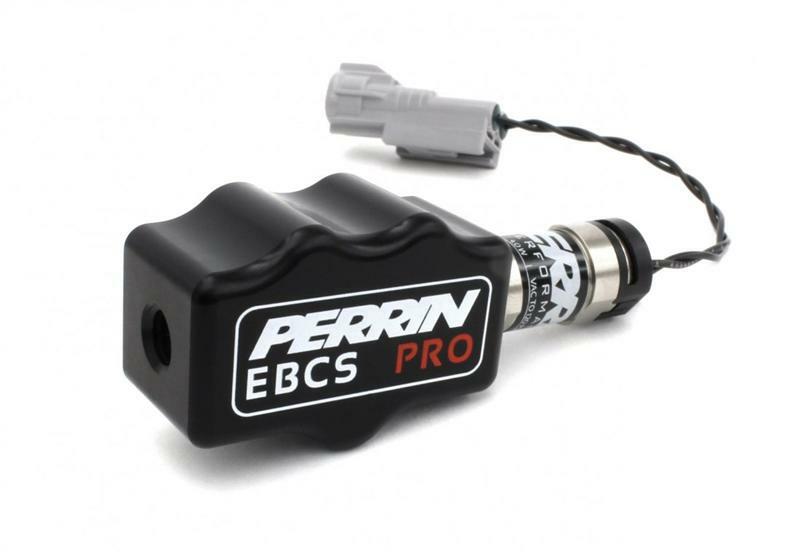 The EBCS Pro Series 3-Port Electronic Boost Control Solenoid is designed to control today’s high performance wastegates with it’s ultra fast response and bomb proof design. The PERRIN EBCS was the first and original aftermarket boost control solenoid, and now we have taken it one step further with the EBCS Pro! Main valve body of the EBCS pro is made of corrosion resistant nickel plated brass, with proper seals to withstand the temps and oils see in a boost control system. The body of the EBCS Pro is made of 6061 aluminum then anodized to ensure it stays looking good forever. These things allow the EBCS Pro to easily survive under hood temps. Our OEM type male connector is specific to all Subaru and Mitsubishi applications. Includes additional connectors to allow universal applications. The custom made solenoid coil and valve are made specific to PERRIN specs. This allows the valve to operate almost 2 times faster than other designs, flow almost 50% more air, and work with OEM ECUs without causing check engine lights. To fully utilize the EBCS Pro, an ECU recalibration is NEEDED to ensure no over boosting occurs. Contact our tech department for further info. High quality nickel plated brass fittings resist corrosion and will not break. For race professionals the EBCS will also accept AN fittings for the best connection possible. Every EBCS Pro comes with 6ft of vacuum hose so you can route and mount your EBCS anywhere under the hood. The EBCS kit includes additional hardware for all applications.